In September 2017, the Native American Voting Rights Coalition (NAVRC) began holding field hearings across the country. These hearings documented the unique needs and challenges faced by Native voters and identify successes to replicate. Information from the hearings will help promote public education, identify policy solutions, and advance other legal remedies to expand Native access to voting. Witnesses included a wide range of tribal leaders, advocates, and voters. They are sharing their experiences with voter registration and voting in federal, state, and local (non-tribal) elections. Issues identified in the hearings include access to voter registration and voting sites, early voting, poll worker opportunities, treatment at the polls, voter identification requirements, redistricting, language barriers, and other obstacles that might prevent Native Americans from being able to participate fully and effectively in the political process. See materials from these hearings at the NAVRC website. Why are the hearings being held at so many locations? Field hearings are the most efficient way to learn about barriers that voters face in Indian Country: directly from tribal leaders, voters, and organizers on the ground. 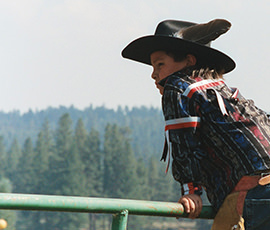 Many reservations are geographically, linguistically, and culturally isolated from the rest of the population. Native voters living on and off the reservation often lack adequate resources for their basic needs, including transportation and modern means of communication. Broadband penetration has occurred on fewer than ten percent of all reservations. In-person meetings on or near reservations are the most effective way of reaching out to Native voters in remote areas. How can I learn more about the field hearings including opportunities to testify and submission of written testimony? Who should I contact if I need help with a voting issue or if I’d like to report a voting rights problem? The Native American Voting Rights Coalition is a non-partisan alliance of national and grassroots organizations, scholars, and activists advocating for equal access for Native Americans to the political process. Learn more about the Native American Voting Rights Coalition.